Professionally printed image made using digital copies of the original files. Any image that does not fit the 16 x 20 aspect will have additional white space on two sides. Picture will have minor blemishes corrected before printing. Noted architectural photographer Frances Benjamin Johnston (1864-1952) created a systematic record of early American buildings and gardens called the Carnegie Survey of the Architecture of the South (CSAS). 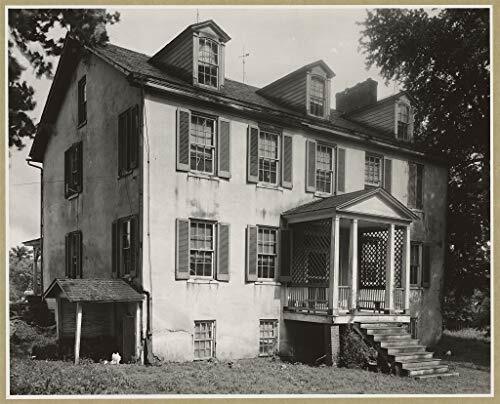 Johnston's interest in both vernacular and high style structures resulted in vivid portrayals of the exteriors and interiors of houses, mills, and churches as well as mansions, plantations, and outbuildings. Professionaly Reproduced using Commercial Equipment with lifetime inks. Mailed in A rigid mailer to prevent Damage in Shipping.